If I were asked to name my favourite design, I would choose ‘Mount Orient’. 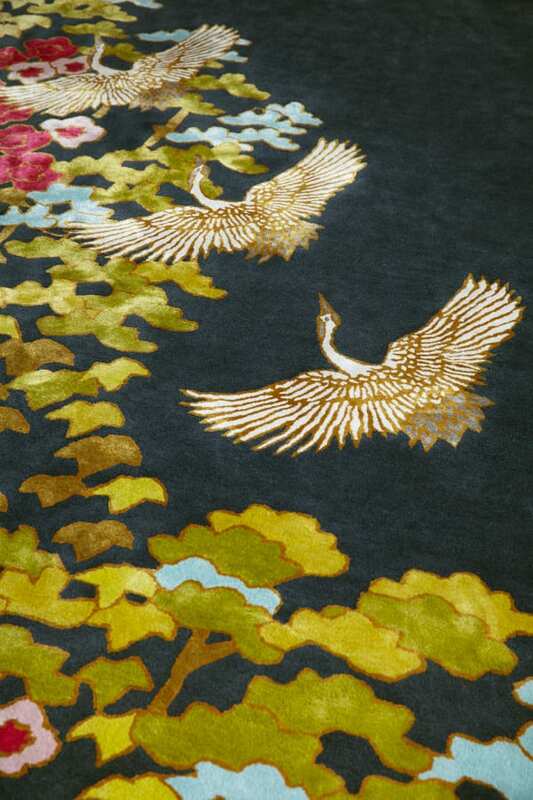 It holds many of the features I personally desire – a bold neutral base, a variety of gorgeous sparkling colours highlighted in gold and a selection of graceful birds. In its role as a statement piece it exudes versatility, at home in a lounge, kitchen or bedroom of houses old and new and in modern or traditional settings. 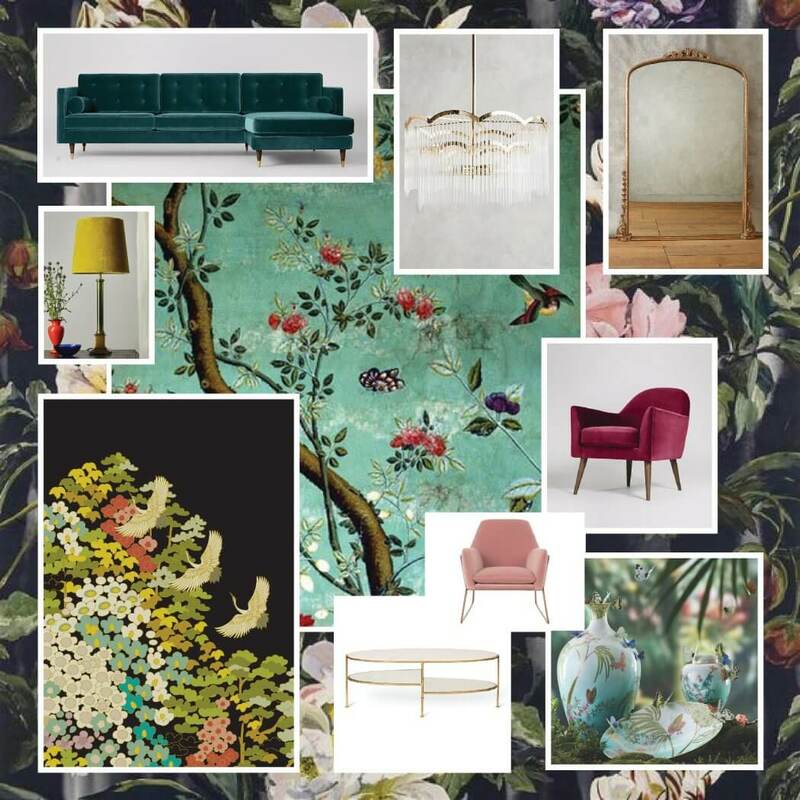 Taking the time to create a rug mood board is always time well spent. Albeit somewhat indulgent, it’s extremely satisfying – a virtual shopping spree with no financial commitment! Often, it helps to make some of the decisions on the bigger items for the home, and what fun! 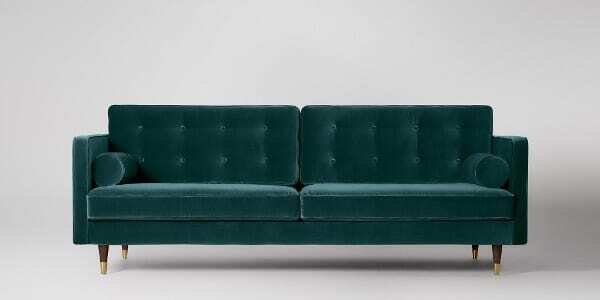 I visualised this lovely “Porto’ sofa from Swoon in Kingfisher velvet – the colour screams versatility and those legs nailed the style decision. How lovely they will look sat on Mount Orient! With virtual shopping comes a vrtual budget! 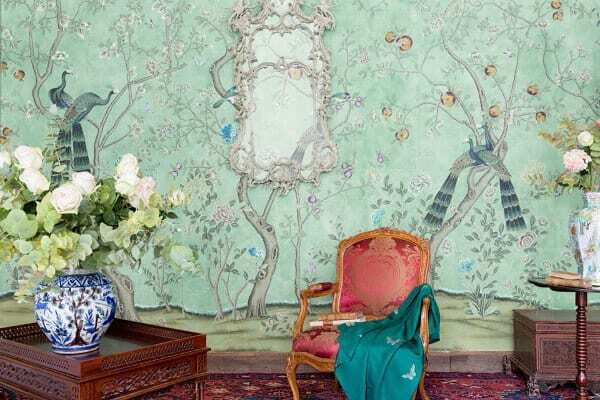 I had to choose de Gournay for the most spectacular backdrop……de Gournay certainly help one realise dreams of a perfect interior – this is their St Laurent Design in standard colours on a custom turquoise edo tea paper. All produced by the most skilled of artisans. 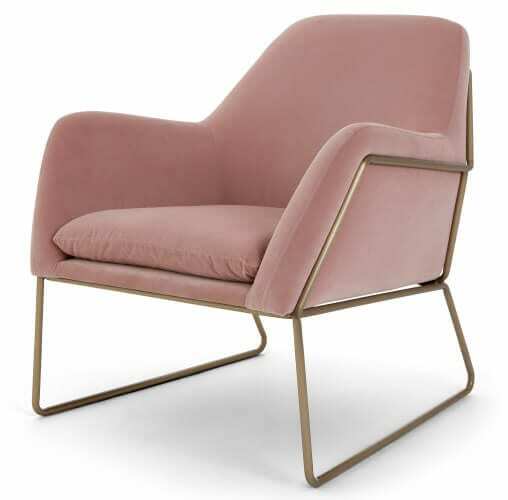 Mixing old with new, this contemporary ‘Frame’ armchair in pink blush velvet and copper frame indulges one of my colour combo passions – pink blush velvet with black – simply delicious! Now let’s accessorize – where better to hunt than eBay or Anthropologie? 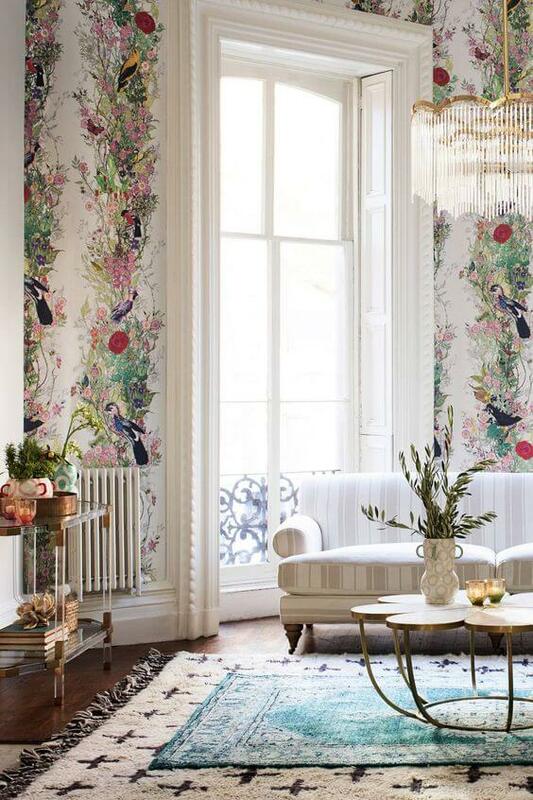 This Arched Waterfall Chandelier is absolutely beautiful – cascades of glass fall like fringe from a Deco-inspired scalloped frame – looking gorgeous with the ‘Bird Sanctuary’ wallpaper by Timorous Beasties. Naturally, one requires a mirror to reflect all this beauty. 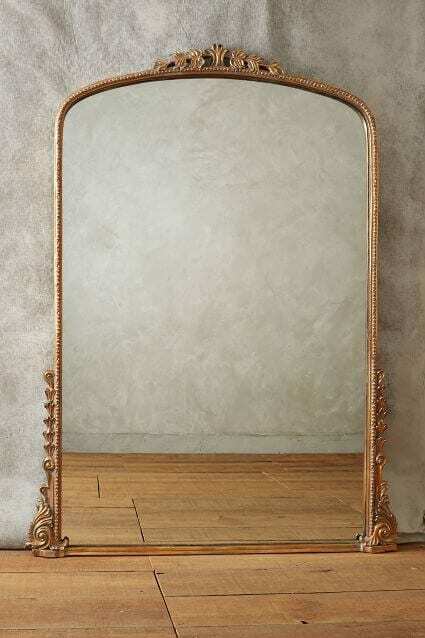 This gleaming primrose mirror by anthrolopolgie will pick up the gold highlights in Mount Orient perfectly. I just love coffee tables, but it can be difficult to find one that works in harmony with a statement rug. 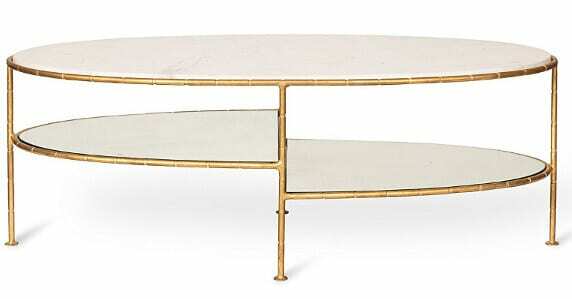 This Luxe Three Gold Bamboo Table works beautifully. It’s light, delicate and contemporary and the perfect size to work with Mount Orient’s features. There’s also plenty shelving to enhance with your personal touches. 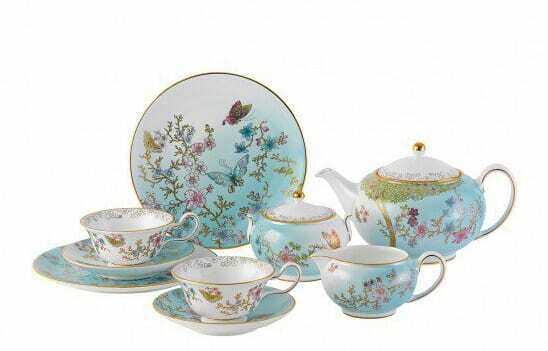 One delightful accessory for this coffee table is the stunning Prestige Jade Butterfly 9 piece tea set. A limited edition 15 sets might force a few quick purchasing decisions – until you see the price tag! A snip at £14,000! I’ll luxuriate in this scheme until the next Rug Story.